My criteria for family friendly dining at Disney is easy, fun atmosphere, kid friendly menu, and fast service. The kids don’t want to sit through a long meal, they want to get back out in the parks. These are some of our favorite Disney dining for families, outside of the character dining experiences. That is a whole other post. The theme is set in a pre-historic era, if you have a dinosaur fan in your family this is the place for them. It is a bit noisy, so if you have children with sensory issues you may want to take that into consideration. With the location being in Disney Springs, you don’t need a theme park ticket for this immersive experience. The kids menu features all of their favorites from pasta, to pizza and burgers. Don’t worry Mom and Dad, the adult menu has more than just the basics. Enjoy the fabulous bruschetta or my favorite the mushroom ravioli! You don’t need a park ticket to have a roaring good time at Rainforest Cafe, it’s located at the entrance to Animal Kingdom Park. Dine on steaks, pastas, salads, and burgers, all while animatronic gorillas pound their chests, birds sing, and thunder booms from the starry nighttime sky. Be sure to finish your meal with the VOLCANO! There are very few restaurants in the world where you can dine with a view. At Sanaa, you can watch zebras, giraffe, and other wildlife, just steps from your dinner table. 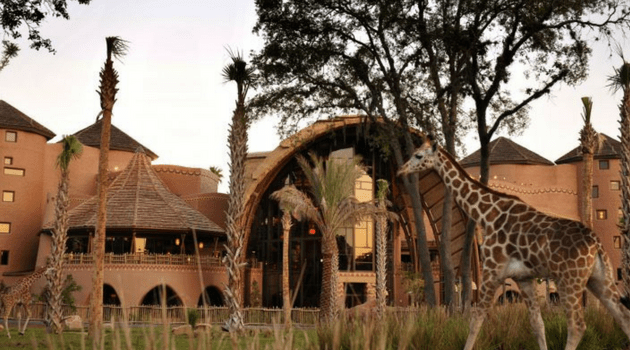 Sanaa is located at the Animal Kingdom Villas at Kidani Village. There is a huge picture window overlooking the savanna. The menu is African inspired and I highly recommend the bread service. I have gone there and just enjoyed that as a meal alone. Don’t be concerned if the kids aren’t adventurous eaters, Sanaa has the usual kids menu offerings of pizza, cheeseburgers, and macaroni and cheese. This is a very unique experience for the whole family, not just the kids. 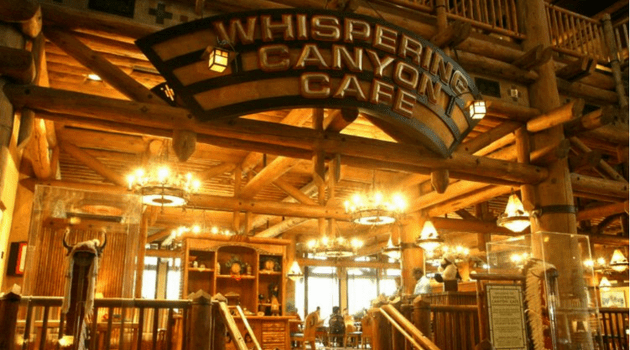 Whispering Canyon Cafe is a fun restaurant to say the least. Once you’re seated at Whispering Canyon Cafe, it’s time to start the show. There are a number of things you can do to get the staff to poke fun with you, but we recommend you don’t research these, so your experience is a surprise. That standard go-to meal is the Canyon Skillet. This all-you-can-eat skillet contains ribs, chicken, pork sausage, mashed potatoes, corn on the cob, baked beans, and cornbread. You will certainly leave with endless memories, and this will quickly become a family favorite. Coral Reef restaurant is another great choice. The restaurant has a wall of 8 feet high windows which look onto the huge saltwater aquarium. which is part of the Seas With Nemo and Friends in Future World at Epcot. 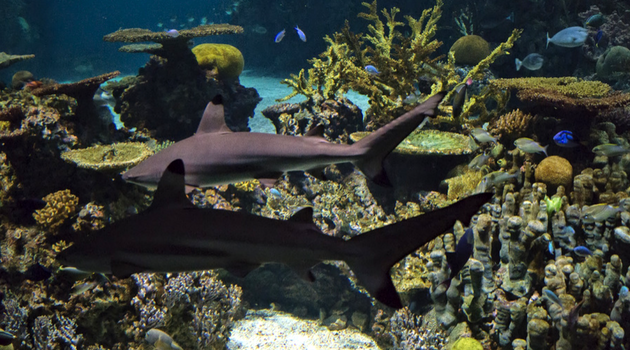 Sit and eat your meal, whilst you watch up to 85 species of fish in the giant tank. As you would expect, there are a lot of great seafood choices on the menu. If seafood isn’t your thing you can also choose from Marinated Grilled Vegetables and Vegetarian Chick’n Breast, Grilled New York Strip Steak, or Oven Roasted Chicken Breast. These are just a handful of favorite dining options for families at Disney World. 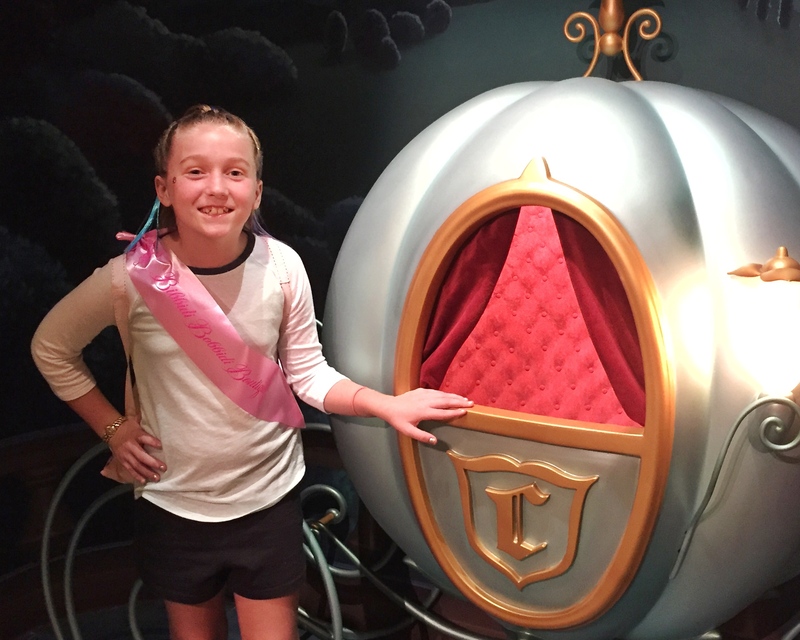 What is your favorite Disney dining for families?